Despite performing quite well against the Austro-Hungarians in the war’s opening months, Serbia was never going to resist an attack from three directions. With Bulgaria joining the Central Powers in a joint offensive, the Serbs have been outnumbered nearly 4 to 1 and outgunned 3 to 1 in artillery. 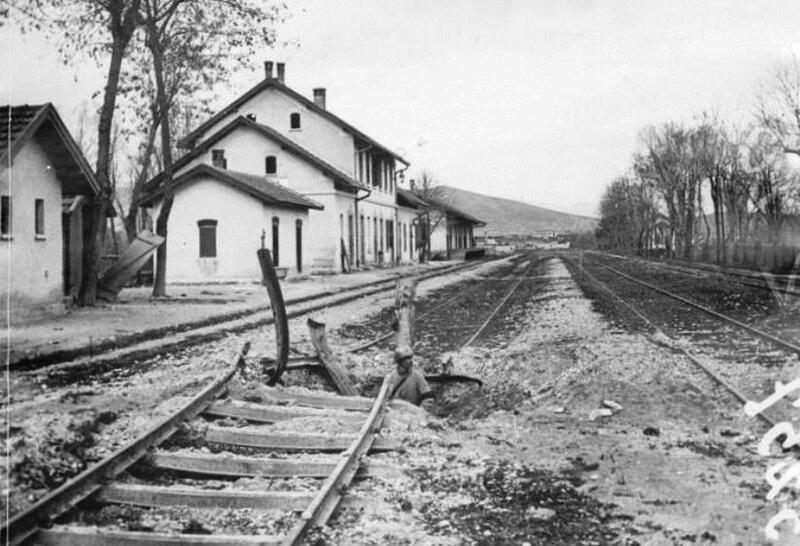 Today, one week after Bulgarian troops cut the overland link between Serbian forces and their allies in Greece, they march into the cities of Mitrovitsa and Pristina, pushing their demoralized enemy off of the long-coveted Kosovo Plateau to the west. In the process, German commander August von Mackensen claims to capture 17,000 prisoners and three dozen cannon. 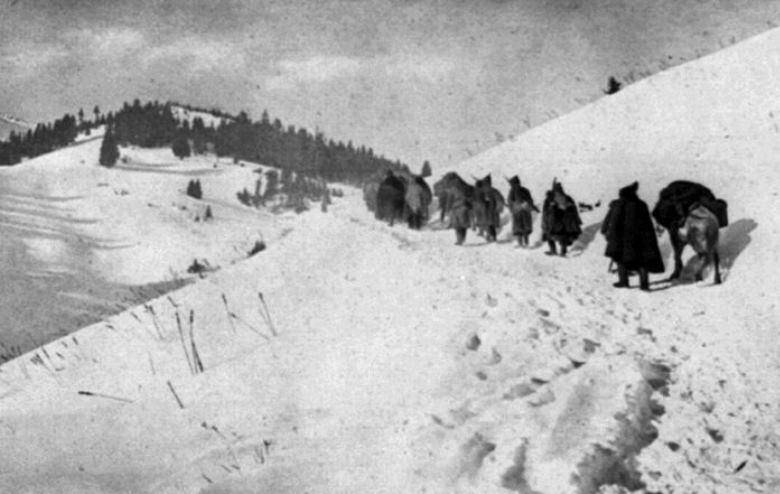 To the south, French troops capture the Macedonian town of Brusnik and push the Bulgarians back from Krivolak. 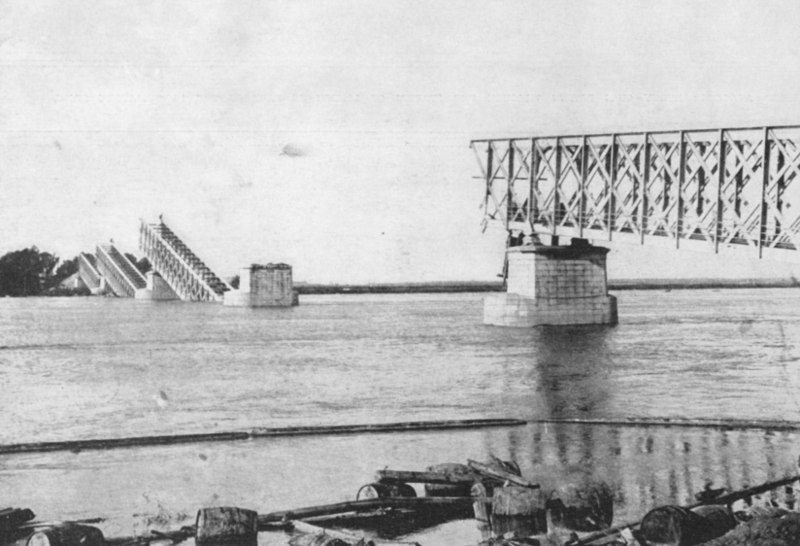 But Serbia’s allies lack the strength to push through the enemy and restore communications. With infantry battalions at quarter-strength, low on ammunition, and hungry from a total lack of supply, the Serbian government — already in exile from both its peacetime and wartime capitals — decides today that the Army must retreat to the Adriatic coast if it is to survive. 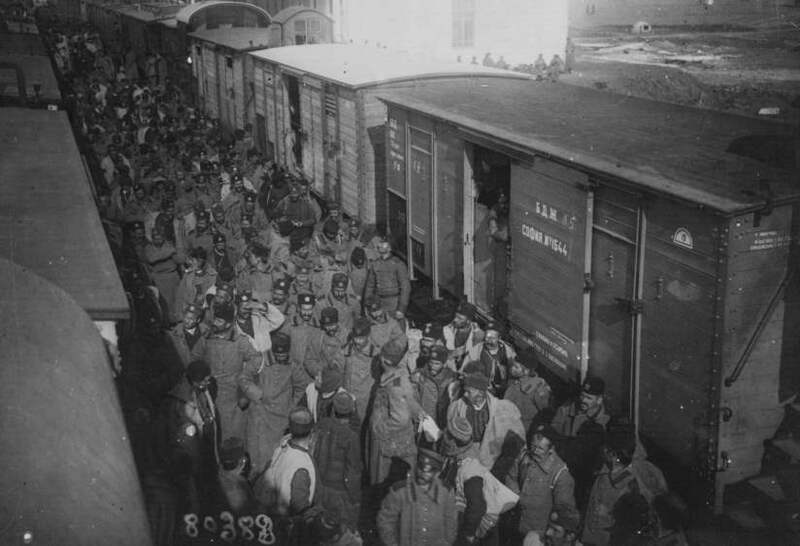 Issued two days later, the orders for every unit detail their routes through Albania and Montenegro, promising that France and Britain will meet them on the beach with relief supplies and ships to carry them to sanctuary. “The state has not lost its being,” the directive says. “The state still exists, although on foreign soil, as long as we have our ruler, our government and our army, regardless of its strength.” For the peasant-soldiers in the ranks whose love of country is rooted in their own little farmsteads rather than some intangible idea of Serbia, it is a difficult transition. Despite the operations orders, there is chaos and confusion, with rumors running wild up and down the columns. As 220,000 soldiers begin their fighting withdrawal through unfriendly tribal zones, asthma-stricken Field Marshall Putnik must be carried away in a sedan chair. 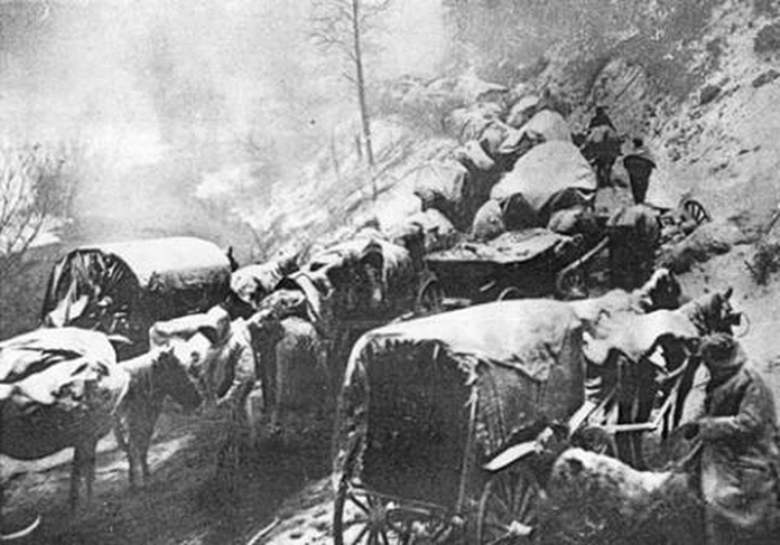 As many as 200,000 civilians — especially boys near fighting age, but also government officials and their families — join the forced march over treacherous mountain roads and tracks. There is no shelter or food to be found, and winter is falling on the Balkans. As a result, disorganization, a total absence of communications, and the dangers of the journey will claim the lives of up to 50 percent of Serbian soldiers as well as an even larger share of noncombatants before they ever reach safety. The true numbers will never be known. Serbia also holds tens of thousands of Austrian prisoners from the Hapsburgs’ three failed invasions of 1914. 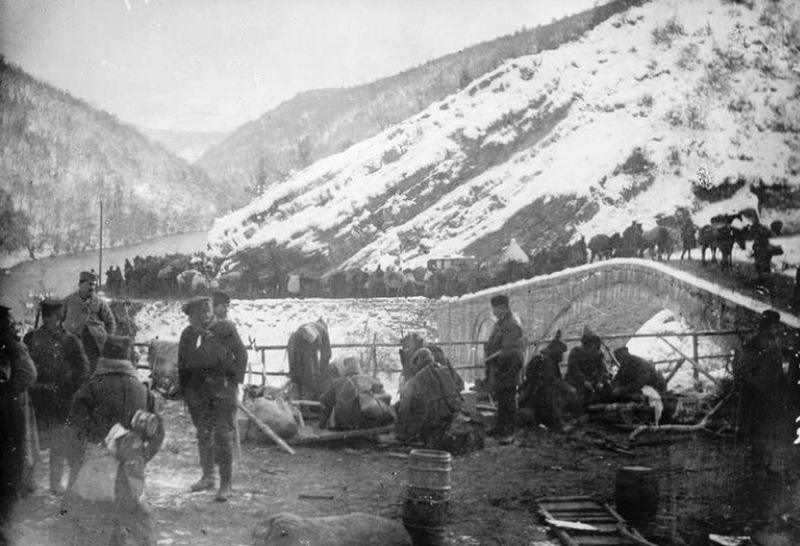 Deciding to make them march for the coast instead of leaving them behind to be repatriated by the advancing enemy, the Serbian command ensures that they are victimized by everyone along the route. All but 23,000 will die of exposure, malnutrition, or abuse, securing the monstrous reputation of Serbs within the Austro-Hungarian Empire. Seen a century later as one of the greatest disasters in Serbian national history, this retreat will be known as the Golgotha. From the despairing depths of defeat, however, a new Serbian Army will arise to return and liberate their homeland.